Grid View with Thumbnails is a script for self-hosted Blogger blogs which will display blog posts as a thumbnail grid of images in homepage and archive pages. Instead of sending your blog visitors to a page that displays all the posts in full length with a large image which takes up too much space and requires too much scrolling, now we can have a clean page that displays a gallery grid, with thumbnails and post titles, linking back to the source post for that thumbnail. Let's take a look at how it will look like in this demo blog. If you have a wallpaper or photo blog that would benefit from displaying a thumbnail grid style layout, look no further. Here's how you can add Grid (gallery) View to Blogger posts. Step 3. Type </head> inside the search box and hit Enter to find it. Note: If there's too much space below the posts, modify the 170 height value. Step 5. 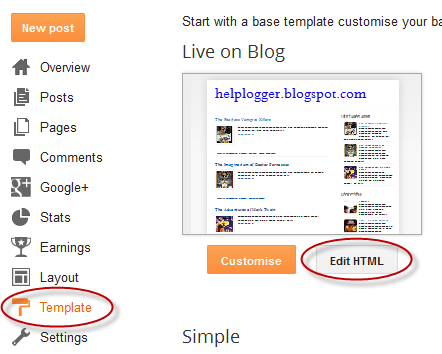 Click on the "Save template" button to save the changes and View your blog. 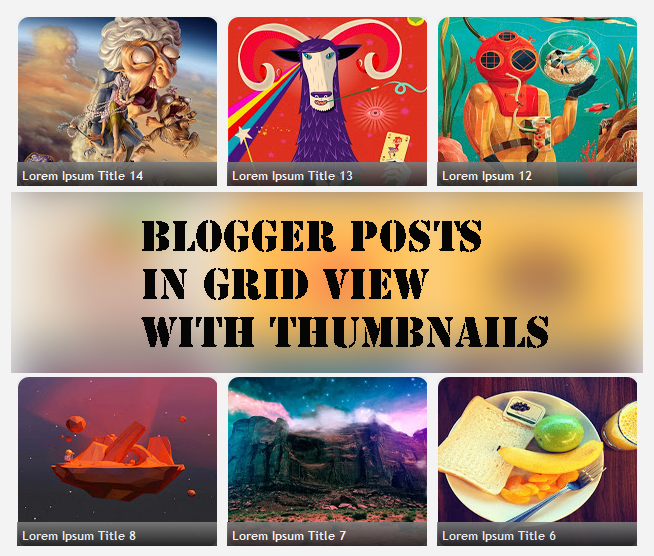 Now you should have a nice grid view on your Blogger posts. Enjoy!